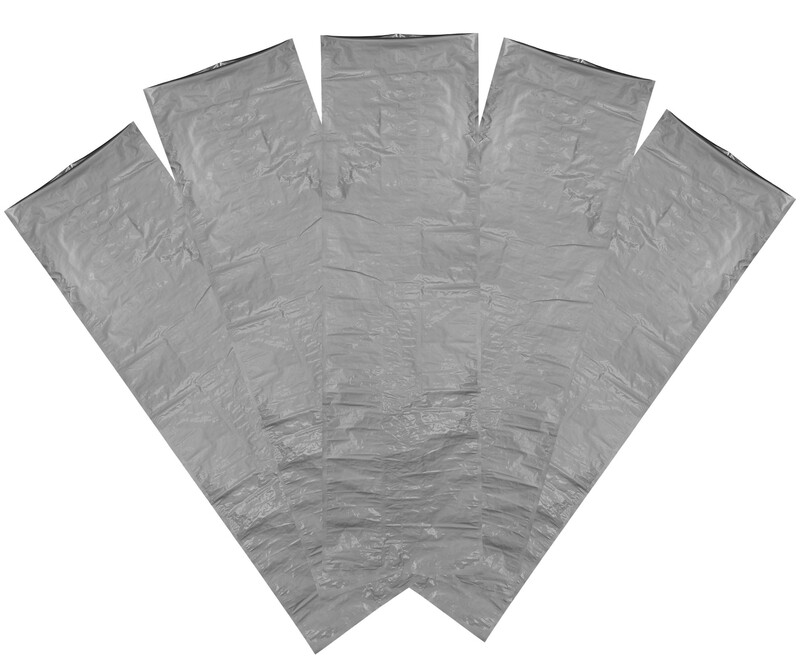 Five Side Sealing Aluminium Foil Bag - (PA/AL/PE60) - Size: 29.5" / 750mm x 29.5" / 750mm x 104" / 2650mm. Includes five bags. Five side sealing Aluminum Mylar foil bag is perfect for long term storage. These bags are popular due to their good puncture resistant structure, outstanding barrier, and relatively low cost characteristics. Bags are made of heavy duty PA/AL/PE60 and meet FDA specifications for food storage. Bag Size: 29.5" / 750mm x 29.5" / 750mm x 104" / 2650mm. Includes five bags.